Clear away the Israeli, US and western mainstream media’s propaganda and rhetoric about Hamas and the Gaza Strip and the geo-political reality of Israeli Zionist intentions and aspirations, not just for the Gaza but for the entire region, are quickly revealed. When Ariel Sharon decided to evacuate the 21 Israeli settlements that were on the Gaza Strip in August 2005 he didn’t do so because he suddenly felt generous and believed that the Palestinians should have their lands back. The reality, predictably, is far more prosaic; it was simply costing too much to maintain the security needed to look after just 8000 settlers living right next door to very hostile Palestinians whose lands they had settled on. In May of 2000 Israel’s then Prime Minister, Ehud Barak, who today is Israel’s Defense Minister, pulled Israel out of south Lebanon after some 22 years of occupation for the same reason that Sharon pulled the settlers out of the Gaza. Barak’s withdrawal was ostensibly to comply with UN resolution 425 which had called for Israel’s withdrawal from Lebanon back in 1978 shortly after Israel had invaded. Despite withdrawing from Lebanon, however, Israel continued to hang on to the Shebaa Farms – which the UN has deemed belongs to Lebanon – claiming this land was part of the Golan Heights which Israel had conquered when it invaded Syria in 1967. Both of these apparent ‘concessions’ were in fact part of a cynical ruse. It has always been the belief of Israeli Zionists that a Greater Israel could realistically be created that would include the Gaza Strip, the West Bank, the Golan Heights and south Lebanon up to the Litani River. While the dream of the biblical Greater Israel extending from the ‘Nile to the Euphrates’ was always the ideal, most Zionists realised that it would remain but a dream. However, a Greater Israel extending from the Mediterranean to the River Jordan and from the Sinai to the Litani River is an ambition that many Zionists consider realistic today. Over the last 40 years the realisation of that goal has been plagued with problems, not least of which is the Palestinian reluctance to surrender to the Zionists dreams. Ever since 1967 when Israel set out to conquer the West Bank, the Gaza Strip, the Golan Heights and the Sinai Peninsula, the peoples they conquered fought back, with the exception of the Golan Heights. Today they continue to fight back. Various Palestinian groups, including Hamas, have dedicated themselves to retrieving all the lands they have lost to the Zionists. For Hamas that has, until very recently, included all of what is now Israel. However, of late Hamas have modified their demands demanding now that Israel withdraws entirely, including all settlements in the West Bank, back to the 1967 line. But it also demands a full right of return of all of the Palestinian refugees including their descendants back to their original lands in what is now Israel. But therein lays the problem for Israel. The Palestinian’s demands are supported by Hizbollah in Lebanon. Hizbollah, in turn are supported by Iran and Syria. Israel, however, has spent years trying to turn this to their advantage. 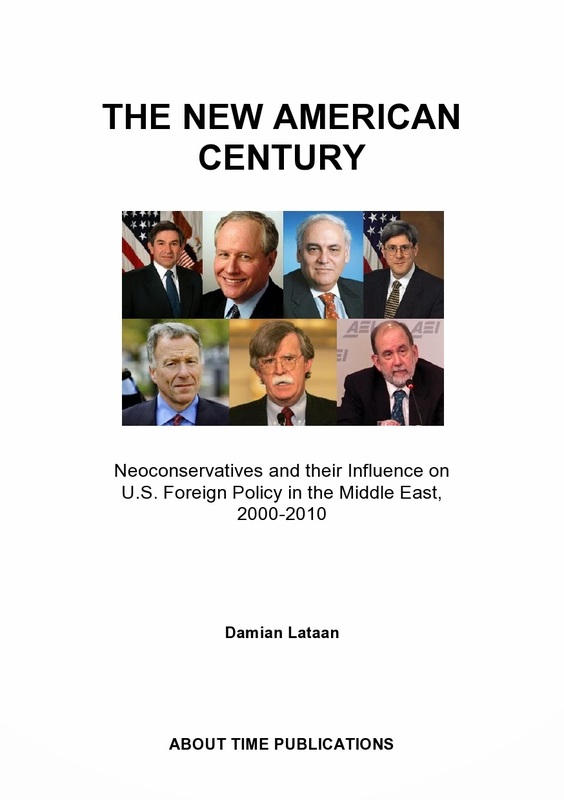 Using their close alliance with the US and the West, Israel have been promoting Iran and Syria, just as they did Iraq, as an enemy of the US and the West, and, of course, Israel. Once the West accept Iran and Syria as their enemies, as Israel hopes, so the Palestinian organisations that are supported by Iran and Syria, directly or indirectly, will also be seen as enemies of the West by association. Once the West accepts Palestinian resistance fighters as enemies in alliance with Iran and Syria it will provide Israel with the opportunity to deal with them in a way that will finally give them the excuse they need to transfer the Palestinians from the Gaza. The Israelis will then take over and occupy the Gaza and eventually annex it to Israel. Israel may then also exercise the so-called Jordan option whereby all Palestinians are transferred to Jordan, and the West Bank then also gets annexed to Israel. The one thing that will not happen, regardless of what the Israelis are telling the world, is Palestine will never be a free independent sovereign state while the Israelis have anything to do with it. The current talks between Israel and their Palestinian puppet Abbas about ‘peace’ and a ‘Palestinian State’ are merely a tactic by the Israeli government to bide their time while Iran and Syria are set up as enemies of the West waiting to be attacked. Meanwhile the hype against Hamas, particularly in the Gaza, and Hizbollah in Lebanon will continue as the Israelis attempt to paint them with the same brush they are using to paint Iran and Syria with. Tensions in the Gaza, and the West Bank, between Hamas and Fatah elements are useful to Israel; it allows Israel to accuse Hamas of not wanting peace. This, of course, is nonsense; Hamas are fully aware of what Israel is up to and are simply not prepared to accept giving up their lands. In order to alienate Hamas in the eyes of the Western world, Israel and the US, with the help of a compliant Western mainstream media, have attempted to show Hamas as an extremist and terrorist organisation and one that has ‘seized’ power in the Gaza. Forgotten entirely is the fact that Hamas never needed to ‘seize’ power; they were given it by the Palestinian people in the democratic elections of January 2006 and the only people that were attempting to seize power were Abbas and his Fatah supporters which they did in the West Bank with the support of the US and Israel. The old colonial tactic of divide and rule has proved successful. Israel now have Hamas exactly were they want them in the Gaza; ready to be taken out at any time by a more than capable Israeli military just as soon as they’ve been demonised enough in the eyes of the western world and when Israel and the US are ready to take on Iran and Syria in what is hoped to be the final showdown. It is in this context that the Gaza is essential to the Zionists plans for a Greater Israel. A great post, Damian. If only more people were enlightened and concerned perhaps we could stop the conflagration that is coming! Cheers. I suppose it was inevitable Annie! Libya are good boys now so it’s time to alter history (again, because we’ll never know who really did it [though some of us would have a fair idea]) and blame it on the new nation to hate. I may have written elsewhere that there has to be a think-tank (Min of Truth?) somewhere that does nothing except dream up this sort of stuff. Eric Blair would be demanding royalty fees if he were alive. MORE FRAUD AND DECEPTIONS AT WEBDIARY! !